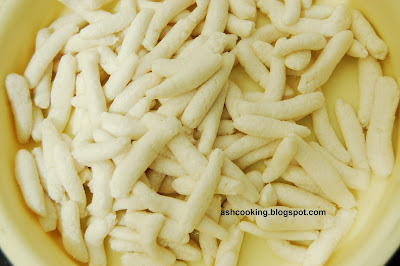 Chushi Pithe is a sweet preparation that is fast getting obsolete. Last time I had it may be when my grandmother was alive. In an effort to bring back some of the forgotten recipes, I cooked Chushi pithe recently and sharing the same in my blog so that you people try this at home and the legacy of chushi pithe passes on to our next generation. The recipe is very simple. All you need to do is first of all soak about one cup of rice in water (I used gobindo bhog rice) for an hour or so. Then drain the water and let the rice dry. When the rice will become completely dry, grind them into powder. This powder is the key ingredient to chushi pithes (sweet dumplings). Note: Batasha and nalen gur are sweeteners used in Bengal extensively during the winter substituting normal sugar. 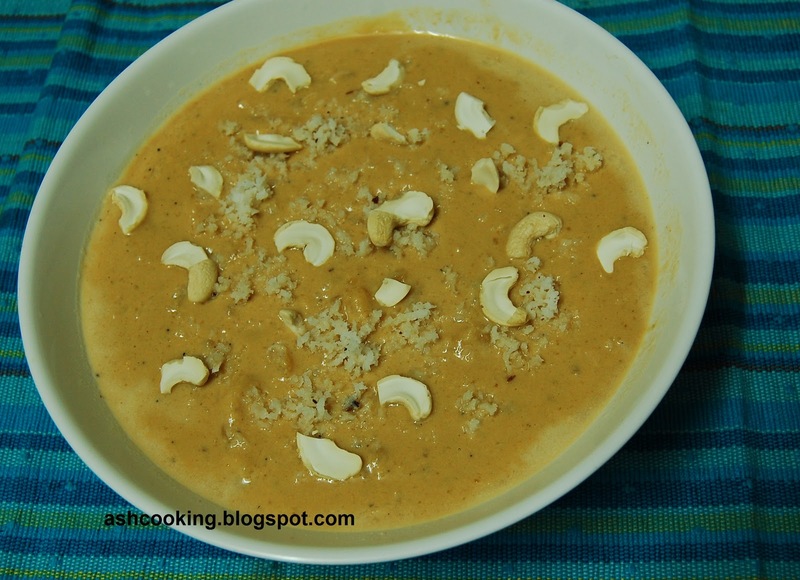 Nalen gur mix helps bring the slight brown color to the sweet dish, making it look really appetizing. In case of unavailability of these two ingredients, you may stick to normal white sugar. 1) Knead a dough using rice powder, a pinch of salt and little amount of water. 2) Now comes the trickiest part of preparing chushis. Rub a little rice powder on your palms first. Then take a pinch of dough and keep that on the palm of your one hand and by applying light pressure with the forefinger of your other hand, make chushis. 3) Keep the chushis aside for an hour. It will stiffen them. 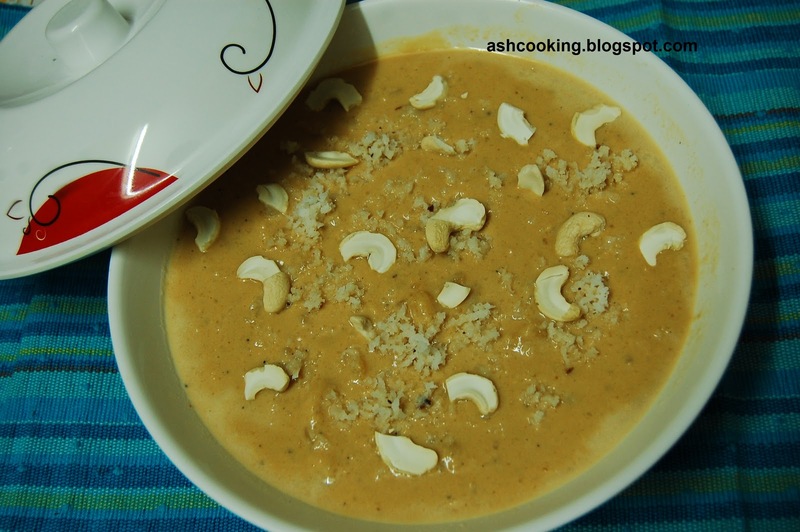 5) Finally when the chushis are cooked through, and the milk takes the form of kheer, sprinkle a pinch of cardamom powder and stir in. Turn off the gas. 6) When the Chushi Pithe would come to room temperature, garnish with grated coconuts and cashew nuts. Serve chilled. I too had it when my grandmother made it.U have written the method very clearly.Will try now.Thanks.